MadGrip Performance Hand Protection supplies work gloves with patented injection molded technology for oil and gas operations. The seamless gloves offer impact protection, best-in-class grip and abrasion-resistance while maintaining dexterity, tactility and comfort. The company combines thermoplastic rubber (TPR), polyurethane and nitrile dips to create a unique work glove. 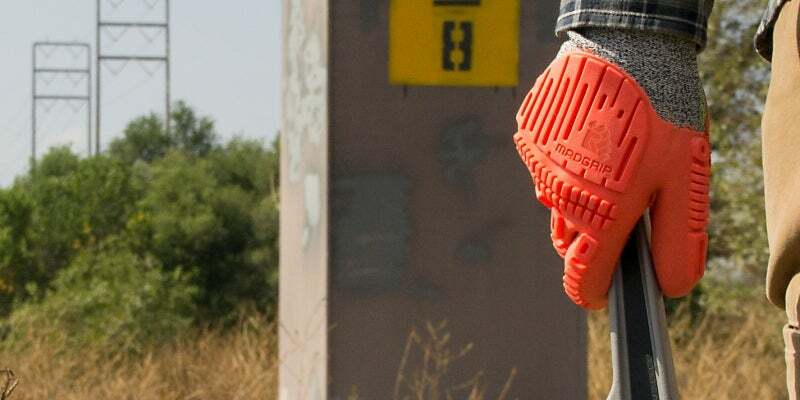 MadGrip’s ProPalm glove incorporates an advanced tread system that displaces oil and water. The cushioning on the palm prevents blistering and hand fatigue, while the seamless reinforcement in critical abrasion areas enables extended durability and vibration dampening. The Thunderdome uses contiguous-impact absorption (CIA) to create a cost-effective impact glove that offers total coverage of all critical impact, crush and pinch areas of the hand. The highly automated production process enables MadGrip to pass the cost savings on to the end-user without compromising safety. MadGrip’s Ergo series of TPR gloves offers impact protection in pinch and crush areas on the metatarsal areas of the hand. The company incorporates injection-molded TPR with any knit liner, so users can work with chemicals, in addition to dry, oily or wet substances. The Ergo-Beast has a one-piece, full-impact area covering the back of the hand, while the palm is water-resistant. It also has a sandy nitrile dip protecting the palm and fingers. The glove is suitable for oil and gas applications, as it provides best-in-class grip and impact protection. Offered in a wide range of palm options depending on the application, including polyurethane or thermoplastic rubber. The Ergo-Defender models cover more directed areas of the hand with a firmer TPR in the critical fingertip areas, providing enhanced protection. The softer TPR protecting the fingers and the back of hand enables additional flexibility and creates less forearm exhaustion throughout the workday. Cut or non-cut versions are ideal for downstream, midstream or upstream applications. The Ergo-Impact glove features an ergonomic, lower-profile metatarsal impact coverage area. A one-step, injection-mold process secures impact protection on thin gloves, making it suitable for mechanics, drivers and technicians. MadGrip has partnered with leading suppliers of cutting-edge fabrics and yarns to develop a seamless impact glove, which is both durable and comfortable for onshore and offshore operations. The company is a division of Gordini USA, which was established in 1956.